Through embedding the volunteering spirit, we hope the volunteers will build positive life experiences to pass on the spirit of volunteering. 102 volunteers cherishing the genuine purpose to provide assistance to communities agreed to initiate a voluntary organization, PAVA, during the World Volunteer year 2001 at Oxford Hotel in Los Angeles. The UN announced the first year of a new century, the year 2001, as "The World Volunteer Year" to promote volunteerism throughout the globe. 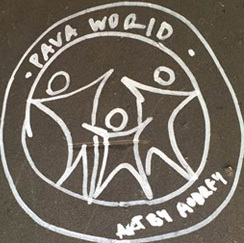 120 PAVA volunteers particited in The 5th Turtle Marathon. The Turtle Marathon is one of the biggiest events in Korean American Communites and PAVA is very proud of be a part of it.